Back in 1945, workers in Grand Rapids, Michigan added powdered sodium fluoride into the city’s water supply. This was a federally-sanctioned trial to determine the dental benefits of fluoride. A year beforehand, the teeth of local schoolchildren were examined as a baseline. As the trial proceeded, the Public Health Service noted significant decrease in tooth decay among the children – at a better rate than predicted. Adults also benefit from adding fluoride to drinking water, a process called fluoridation. It worked so well that other cities requested fluoridation, and eventually the Centers for Disease Control and Prevention named it a great public-health achievement. Interestingly, the press in 1945 announced the Michigan trial weeks before it actually started. During that interim, city officials received complaints about sore gums and peeling tooth enamel, likely in attempts to discredit fluoridation. Even today, people make unsubstantiated claims against fluoridation, verbally trying to link it to everything from cancer to birth defects. So, is there any concern when fluoride is added to your toothpaste, mouthwash or drinking water? 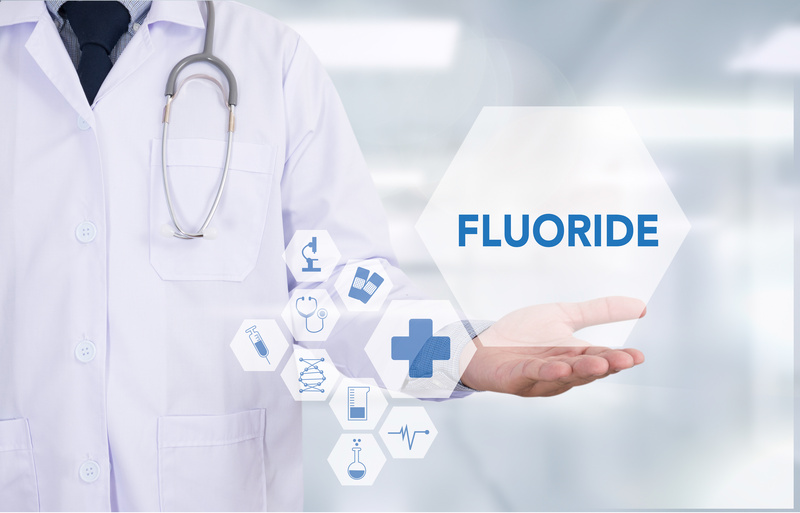 Fluoride fights the growth of harmful bacteria in your mouth. Fluoride helps repair tooth enamel. Fluoride prevents cavities by reinforcing tooth enamel. Fluoride can even reverse early stages of tooth decay by promoting remineralization of tooth enamel over compromised areas. When fluoride is added to drinking water, the amount is very little – the standard recommendation is less than one part per million. However, since most toothpastes and mouthwashes include fluoride as well, could you be getting too much? Children under the age of eight might get too much fluoride and develop dental fluorosis, a mild enamel discoloration which results in a mottled appearance to their teeth. The effects are merely cosmetic, and the Yuba City Dentistry Group is happy to help counteract them. Fluoride added to drinking water, and occurring naturally, is regularly monitored by proper authorities. In 2015, the U.S. Department of Health and Human Services recommended slightly reducing fluoridation, just to help accommodate other sources like toothpaste and mouthwash, and it may adjust its recommendation once more in the near future. Nevertheless, at some time you might read an article or watch a documentary that raises some concerns about your fluoride intake. Please feel free to contact the Yuba City Dentistry Group. We would be glad to discuss your concerns and help make sure you get the right amount of fluoride to keep your smile healthy.